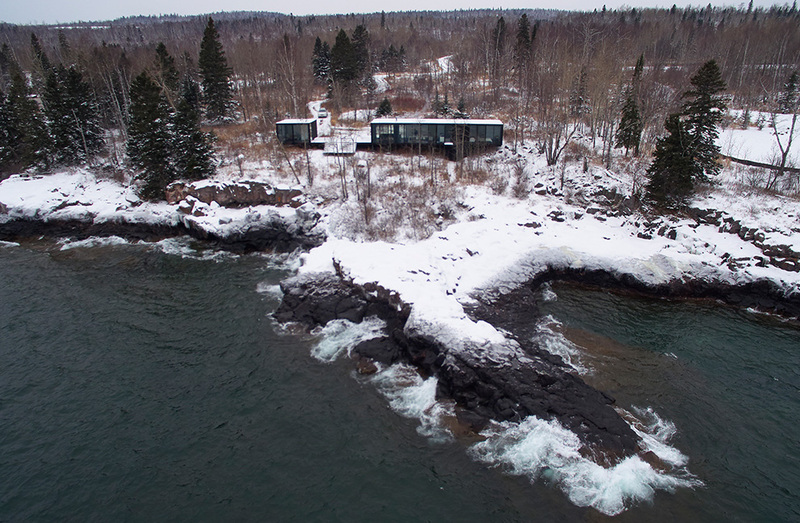 The weekend house on Lake Superior is reduced to a few essential elements. 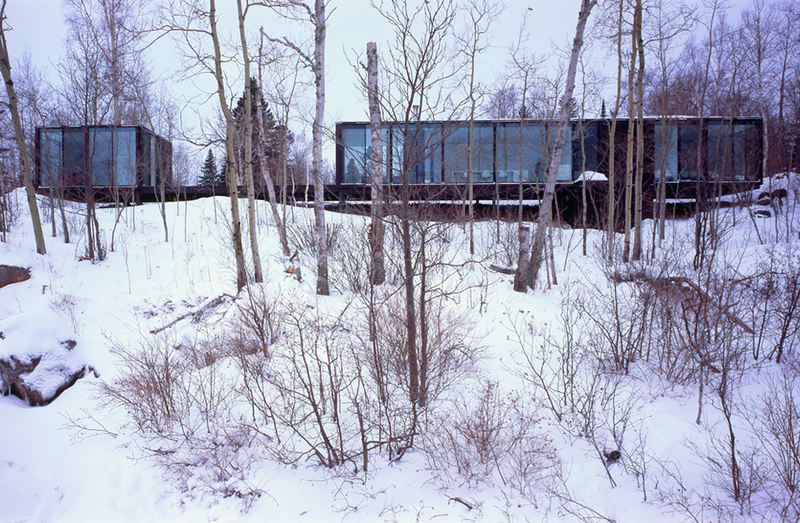 The main house and a small studio sit on a black terrace framing the water of Lake Superior. 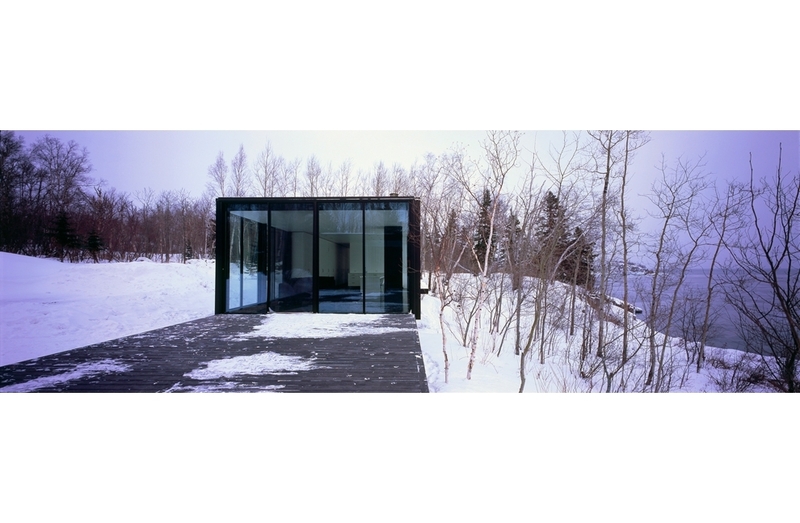 A long simple white table runs parallel to the lake. A narrow vertical tower encloses the fireplace. Cabinets conceal the complexities of daily life. 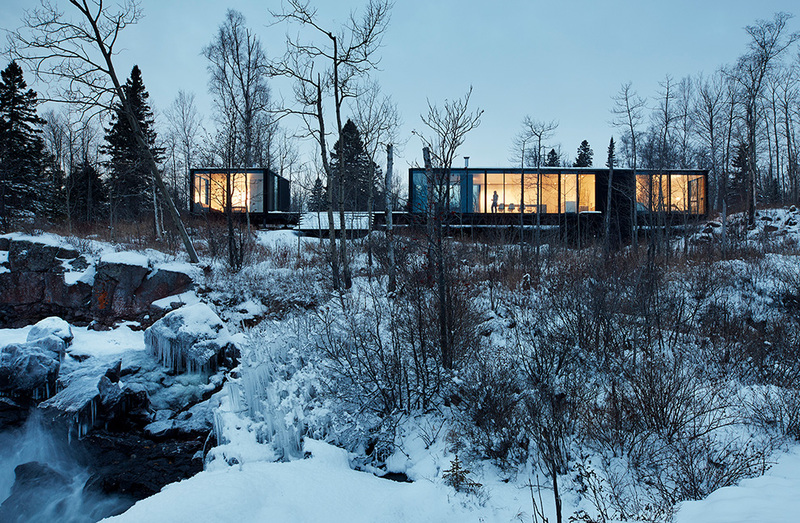 The house provides a serene connection to a beautiful, rugged landscape. 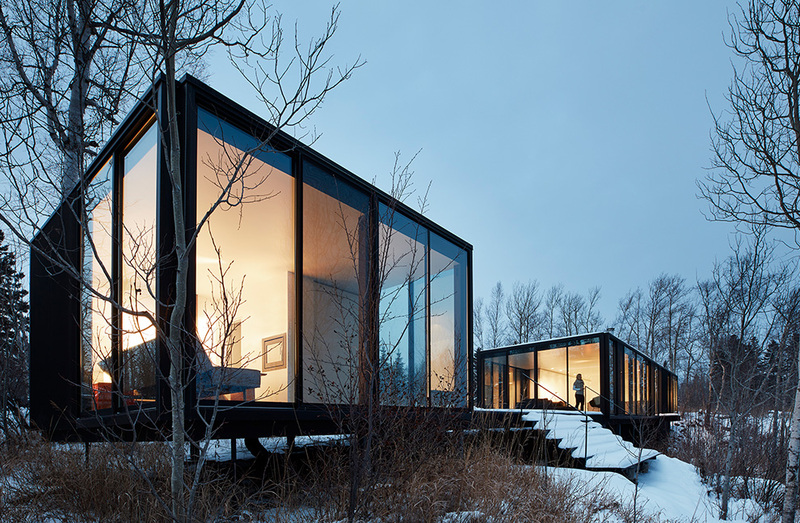 The site occupies the North Shore’s highland moraine. Patches of wetland filter the water runoff. 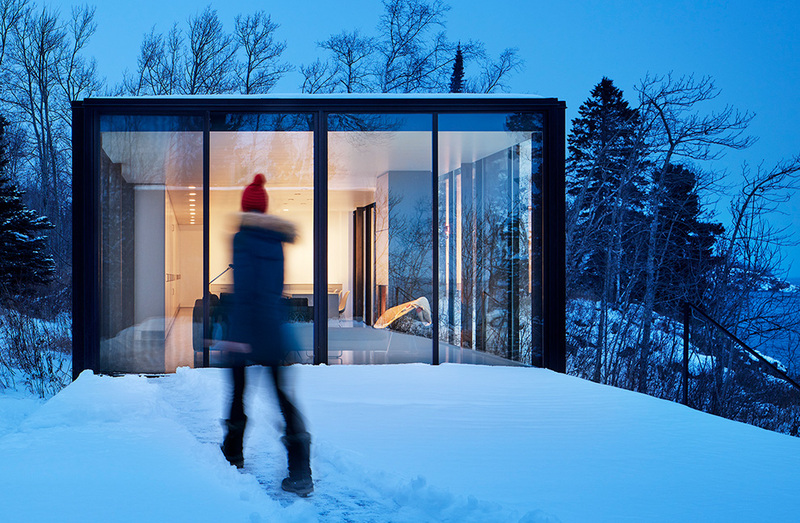 The house minimizes its disturbance of natural water movement and employs passive heating and cooling strategies reducing BTU consumption per square foot by 47%.